Capping the seven week programme was the ‘Future Ideas’ competition, which asked the students to devise an innovative idea that addressed key global challenges. “The Taqaddam programme was developed to help improve the students’ life-skills,” said Sabrin Rahman, Head of Corporate Sustainability MENA from HSBC. “We also wanted to give them the tools they need to enhance their job prospects after graduating from school. 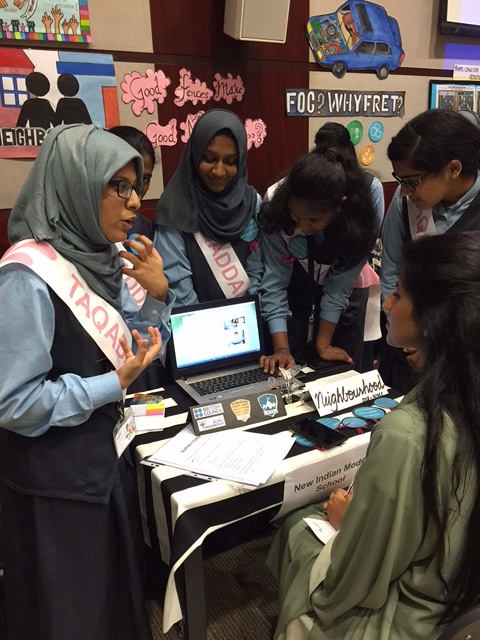 Running alongside the school curriculum and being delivered outside of school hours, Taqaddam involved several key learning outcomes , including an understanding of what life skills are; identifying one’s strengths and weaknesses to overcome challenges; and confidence in communicating one’s skills and demonstrating them to others. The students also challenged themselves through the high profile national competition ‘Future Ideas’, which was facilitated by experienced trainers and supported by HSBC staff and local community leaders. The content for Taqaddam, which means ‘Move Forward’ in Arabic, was delivered by Spark and Mettle, a youth development charity based in London that supports and enables young people to identify, articulate and improve key character strengths, while also building their ‘soft skills’ for a brighter future. Students who participated logged on to a tailor-made, on-line resource that helped them to identify their personal strengths and abilities, as well as areas where they needed further development. Two inspiring workshops covered a range of important life skill areas, including critical thinking, effective communications, organized planning and how to take the initiative. Students also learnt the value of showing resilience, grit and determination, while finding purpose and managing emotions were also a key part of the learning experience. The ‘Future Ideas’ competition, hosted as part of the final phase of the programme, asked students to work in teams to devise an innovative idea that addressed key global challenges related to the environment, health or community well-being. After a long nomination day, all students agreed that one key skill received from the UAE workshop was confidence. Students also realised they had much more creativity than they first realised. Working with the theme of community, the first place competition aware winners went to Pristine Private School, who came up with the ‘Food-AGE’ app. The concept they presented showed how people could minimize food wastage by scanning the product’s barcode that will update the users with the expiry date of the product, what recipes can be helpful ahead of its expiry and it even assisted users help laborers by giving them the food and not wasting it. Some students focused on health, and submitted various solutions and new ways to live a healthy lifestyle. One of the ideas that got the judges’ attention was the ‘Atmospheric Generator’ that can help in condensing water, filtering it, and adding good minerals that result in healthy and sodium free water that could prevent hypertension. The second place award was handed to students from Sheikh Rashid bin Saeed Islamic Institute who presented a practical environment solution to wasting ablution water. They were able to partner with the Dubai Municipality, shift pipes and dig a tank to plan colourful gardens. Other students revealed their passions for saving lives, with the third place awarded to JSS International School who presented the Smart Serve emergency app that can be used by the public via sending pictures to the responsible safety departments in the country with a GPS location, making the process to reach whoever is in need quicker and more efficient. The special recognition award was given to students who wanted to save the environment by recycling plastic and using it to plant plants and gardens. The idea was recognised by the judges for the importance of finding new ways to recycle plastic and use it in environmentally friendly ways. The youth development programme Taqaddam is the result of a partnership between HSBC Bank Middle East Ltd and the British Council. It is being delivered in eight countries across the Middle East and North Africa (MENA) region to help youngsters acquire a broad set of life skills that will serve them and their communities in the future. Taqaddam means ‘Move Forward’ in Arabic and is an innovative youth-development programme that will be delivered across eight countries in the Middle East and North Africa (MENA). It has been developed in partnership with HSBC Bank Middle East Limited and the British Council, with content developed by Spark + Mettle. The programme is designed to equip young people with a wide set of enduring personal and professional strengths and skills that will enable them to lead successful and fulfilling lives. Taught over seven weeks, Taqaddam starts by a face to face workshop with young people to cover the skills required to be a team player, creative innovator and organized planner. Following the workshops young people will have access to Taqaddam online platform where they will develop their character strengths through undergoing missions and skills challenges. Students will have another opportunity to meet in a face to face workshop where they will develop the initiative taker, effective communicator and critical thinker skills. 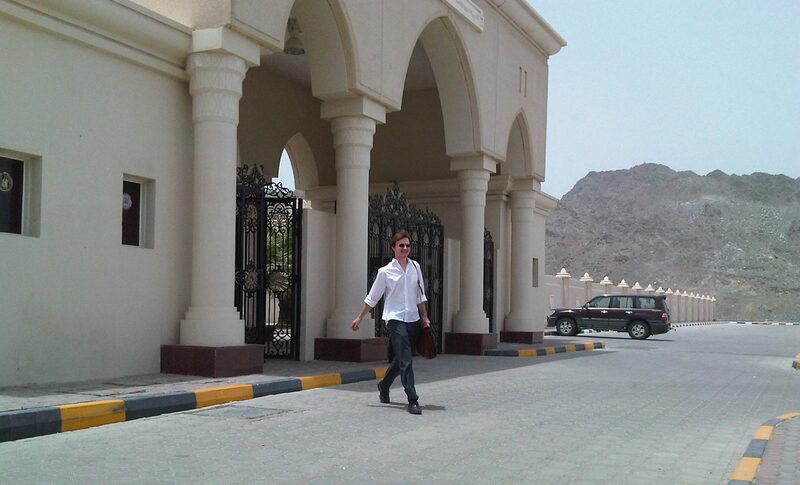 CategoriesBritish Council UAE., Education in the UAE, Pristine Private School, Schools in Dubai., Schools in UAE. Next PostNext Reading is Positive Energy exhibition by Dubai Electricity and Water Authority (DEWA).